Learn the mindsets and fundamentals of getting a great mix. 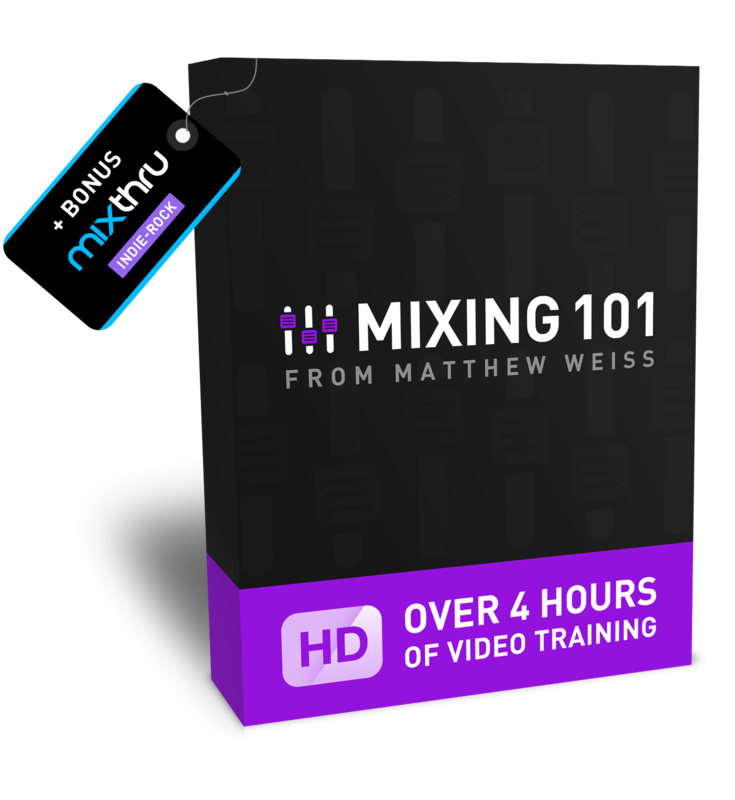 Professional mix engineer Matthew Weiss lays out a solid foundation for getting a great mix by breaking down the technical concepts, creative techniques and effective mindsets that will set you up for success. This week only: Free Indie-Rock Mixthru included! Learn how sound behaves in an enclosed space and how it's captured and converted into an audio signal for you to manipulate in a DAW. Signal flow can seem daunting, but we break it down simply so you can focus on what matters: making music and getting a great mix. Track types, sends and more — we clarify and cover it all. Gain staging is easily glossed over, but also essential to the entire process. Learn the most important principles for setting optimal levels in your DAW, as well as for using analog gear. We'll show you the best ways to set up your session for faster navigation, efficient workflow, buss processing and more. A little time spent upfront pays dividends down the line. 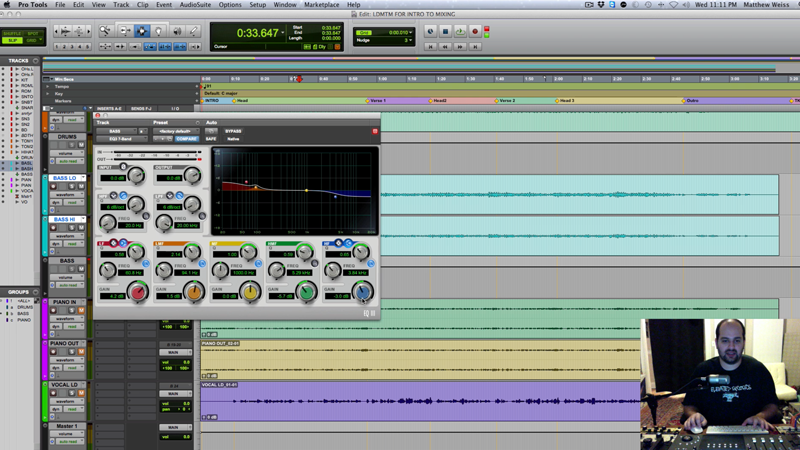 Learn some quick editing tips that will go a long way towards getting a more polished mix. A well organized session yields an uncluttered mind for ultimate creativity. Learn tips and tricks for making your session as easy as possible to navigate so you can focus on being creative. Learn how to evaluate and optimize phase coherency within a multitrack drum capture so you're not sacrificing the best possible sound of a recording. Starting your mix in the right place can lead it in different directions. We break down a few ways you can approach the beginning of your mix. Learn the basics of common audio processors including EQ, compression, distortion, reverb, delay, and more demonstrated on drums, bass and vocals in the mix. Learn how to check a multitrack recording for phase coherency, and use both EQ and compression to make tonal adjustments in the mix. Learn how to make bass and drums work well together in a mix, and how you can use utilize harmonic distortion to add character to a bass. Learn the basics of different kinds of reverb on vocals, as well as effects and techniques you can use to widen vocals in a mix. @WeissSound I picked up your Mixing Hip Hop series. 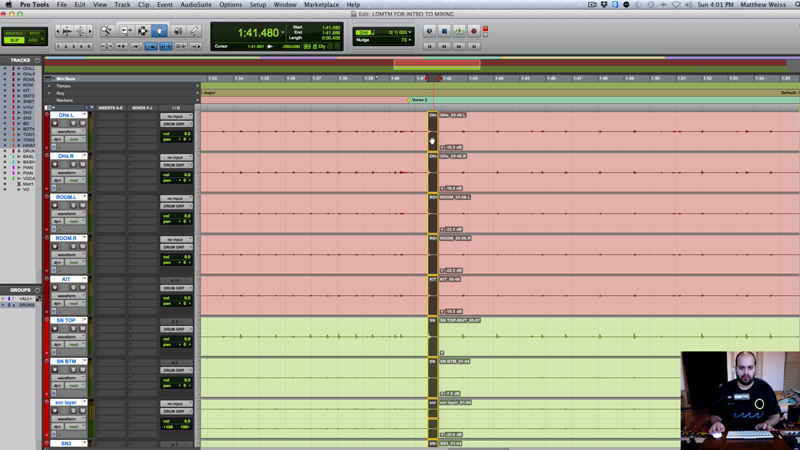 The first song I mixed afterward had a noticeable improvement over all my other stuff. Not the type of guy to really use my page to endorse things but @proaudiofiles "Mixing Hip-Hop" tutorials have helped incredibly. @WeissSound Lots of respect from a Philly musician! Learning a lot from your videos. just recieved a CRAZY mix from @WeissSound for one of our new @smokeyrobotic joints.. we have a winner folks! @WeissSound I love your mixing edm tutorial! Learn the fundamentals of signal flow, gain staging, session prep, phase coherency, editing, organization and more. Learn the fundamental and practical applications of EQ, compression, distortion and other effects inside the mix. We're confident these videos will help you, but we want you to be absolutely satisfied. If within 30 days you’re unhappy for any reason, email us and we’ll give you a full refund — no questions asked. Matthew has mixed a lot of records, including his work on songs for Akon, SisQo, Becky G, Lil Pump, Space Cowboy, !llmind, Dizzee Rascal, Arrested Development and more. 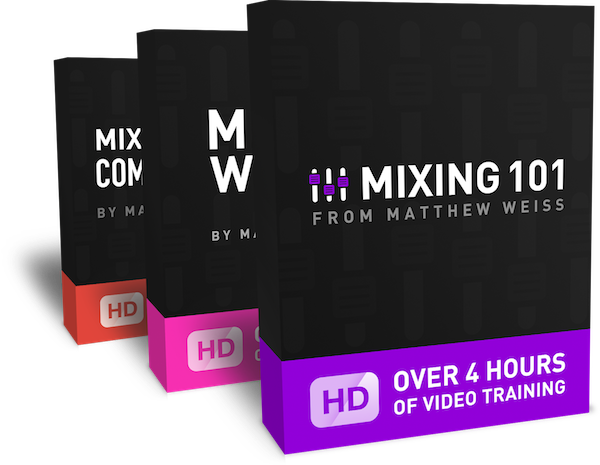 We’re excited to share the mixing techniques Matthew has developed over the years, and our goal is to help you elevate the quality of all your mixes and productions no matter what circumstances or gear you're working with. Does the tutorial only apply to Pro Tools? Nope! 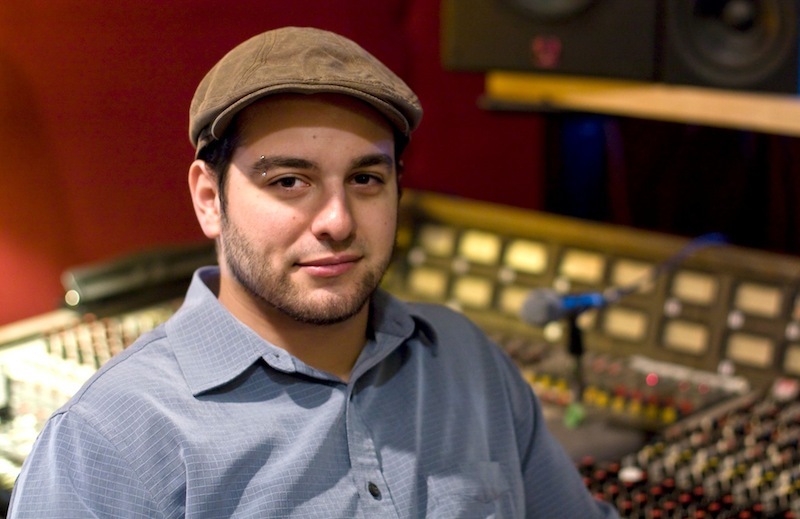 While Matthew mixes in Pro Tools, the processes he teaches are completely independent of any one particular DAW and will apply to Logic, Ableton, Cubase, Reaper, Fruity Loops, Studio One and other similar platforms. Nope! 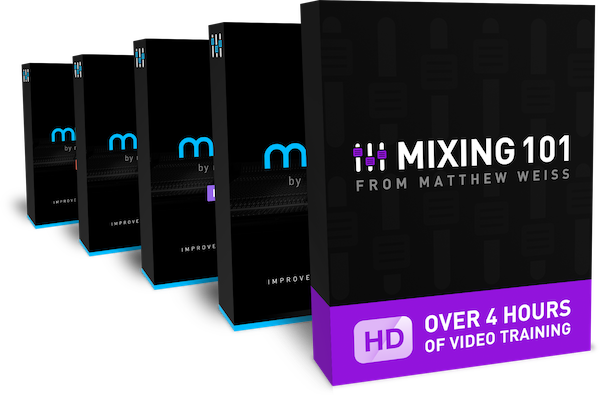 In this tutorial, Matthew mainly uses stock plugins. Definitely. It's the best value by far. 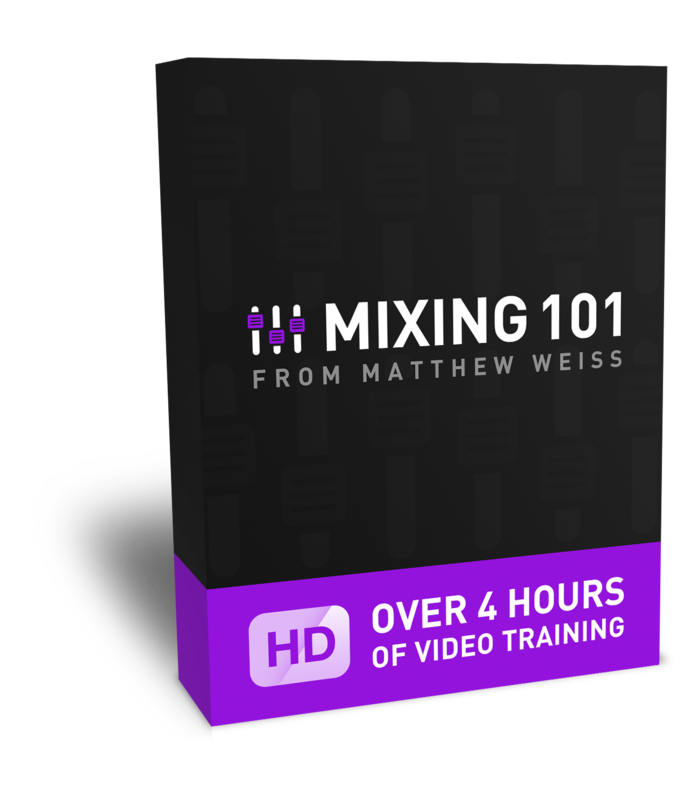 Mixing 101 will give you a great foundation for mixing, but the Mix Essentials and Mixthru Bundles will greatly expand on that knowledge in a deeper way as well as provide you with additional mix walkthroughs. Questions or concerns? Email us anytime!